Information Exchange is a our initiative to get to know some of our favourite artists’ creative process, musical journey and other helpful insight. For our first episode, we’re really happy to have ‘Third Son aka ‘Joseph Price’ who’s made a solid name for himself in a very short time. Special thanks to the good folks at Deep Dictionary / ModeM Networks / sLick / G.A.D for their co-operation. Third Son’s goal has always been simple – to make the best music he can. Coming from a musical family and trained as a musician from a young age, his innate passion for music has taken him through styles and experimentation the world over. 2015 was special. 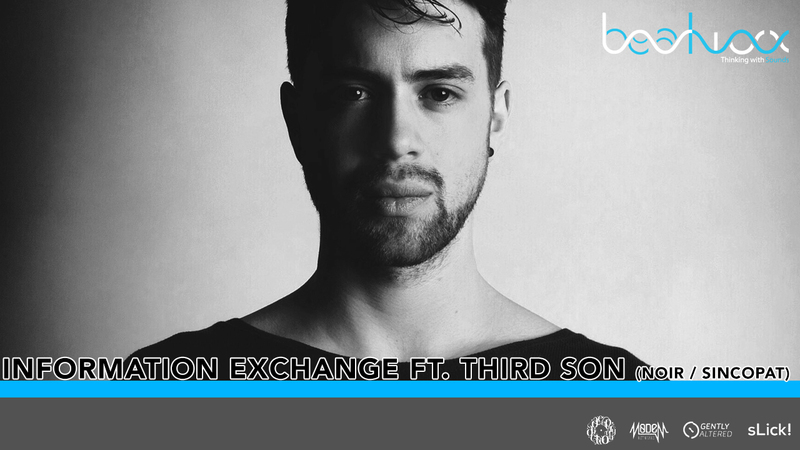 Within one year of conception, Third Son was touring the globe and releasing on highly regarded labels such as Noir Music, Einmusika and Sincopat, while developing his own brand of electronic music from his London studio. 2016 promises something more from the 25 year old. Already having a loaded gig schedule, releases set on home and novel labels, such as Stil Vor Talent, and a full album concept in the pipe-line to boot. A special live set will also be revealed including all original material, referencing his past while pointing to the future of his unique journey. I've been a DJ since 2001, having played at prestigious clubs, festivals and other dance music events, I head the DJ department at Beatworx. I'm a technology enthusiast, and love sharing my knowledge and experiences here.